The track is treated with a mystery polymer to control dust and to be super smooth! Check back for race action photos, we’ll be racing on Friday eve, Saturday, and Sunday. 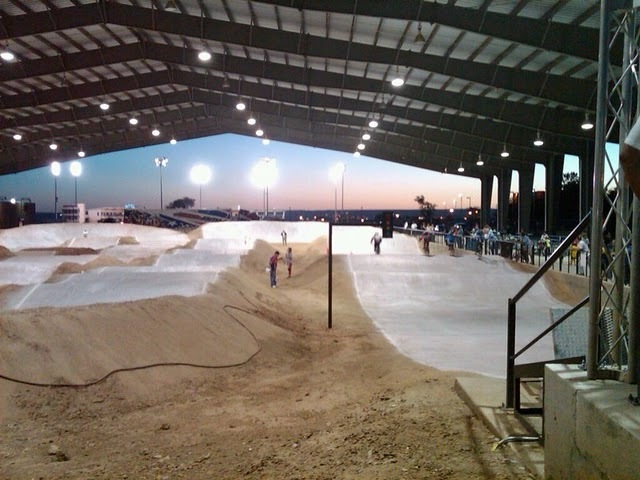 This entry was posted on Monday, May 24th, 2010 at 12:39 PM and is filed under BMX, Peak Cycles Bicycle Shop, Races. You can follow any responses to this entry through the RSS 2.0 feed. You can leave a response, or trackback from your own site.